Now that the holidays are almost here, it’s a good time to reflect on what we are thankful for. Basic necessities like food on the table, warm clothes and a roof over our heads are things we sometimes take for granted, but many others are not as fortunate. In reality, there are families right in our own communities who cannot afford to keep warm and fed this winter. As the weather gets colder, these families are forced to choose between heating their homes and buying their children winter coats. This is why Community Financial is once again launching its Warming Hearts & Homes campaign to help Michigan families. During the Warming Hearts & Homes campaign, which runs the month of December, Community Financial will donate $25 to select nonprofits for every like or tweet received on our social media pages. The plan is to donate up to $30,000 to local organizations around Michigan that provide aid to families in need. Among the organizations that will receive aid from this campaign are The Heat and Warmth Fund (THAW), local food pantries, and The Salvation Army Coats for Kids Program. So this December please take a moment out of your holiday preparations to make your post to our Twitter, Instagram, and Facebook pages. A simple post is an act of kindness that can go a long way. 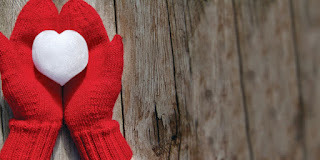 For more information on how Warming Hearts & Homes aids families in Michigan, or to learn more about how you can participate in the campaign, visit www.cfcu.org/warms. The holidays are here and so is the pressure of finding the perfect gifts for your loved ones. Regardless of your budget, it can be difficult to narrow down what gifts will be best. Never fear, because the internet is swimming with ideas for what to get those on your “Nice List” and we’ve complied a few of our own to get your started! Techies rejoice because the future is here! Remember those little flying helicopters you used to see at the mall kiosks? Well technology has advanced and for a price tag of around $1,000, you can have your very own drone with GPS capabilities, an HD camera to record and stream its travels, and the ability to fly for miles before landing. Visit National Geographic for some of the top drone models for gifting this year. Another technology gift that is much more affordable and maybe a little more practical is the array of smartwatches available. One of the most popular is the Fitbit Surge, which like many of the others on the market, can connect to your smartphone and track fitness data. Another option is Pebble, which has a lot of the same features, but a few more stylish options for those who aren’t as fond of the “techie” appearance. Finally, the Apple Watch could be a good possibility for the tech junkie in your household. In addition to its fitness capabilities, the Apple watch can serve as a replacement to your smartphone. With all the technology available and recent generations of children being “screen obsessed,” we sometimes forget about a tried and true gift that can keep giving for years: board games! There are classics like Monopoly, LIFE and Candy Land, each with helpful appropriate age ranges listed right on the box. Some families might avoid board games at all costs for the sake of harmony, but there’s just something about yelling “UNO!” that really brings out the fun! Lots of people have tried their hand at homemade gifts and feel they’ve failed: burnt cookies, a scarf turned into more of an oddly shaped afghan, and that collapsing gingerbread house you spent so much time on! 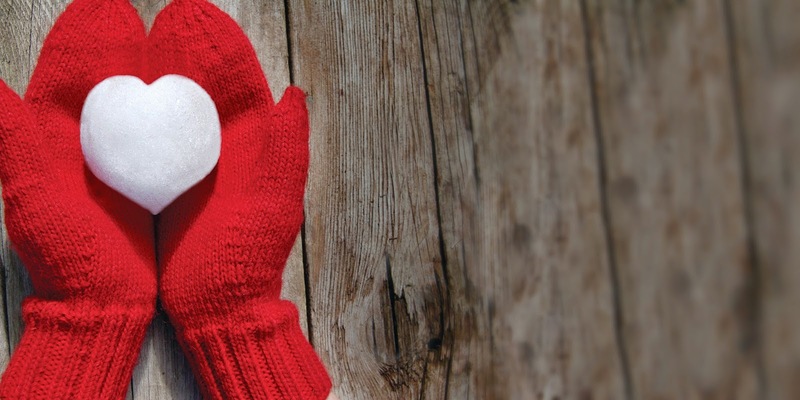 With the help of sites like Pinterest, you can find endless ideas for homemade gifts. With a little searching, you will find a project that is more up your alley and discover that DIY gifting isn’t unrealistic. Keep in mind that no one has ever done DIY gifting without a fail or two, and it’s no reason to give up on it all together. Just check out Pintrocity.com for some inspiration of what NOT to do. Finally, what better gift can you give than the gift of preserved memories? Trying your hand at scrapbooking is a great way to preserve photos for your loved ones. For those who aren’t into arts and crafts, photobooks are very simple to order and very affordable. Try sites like Shutterfly.com or Snapfish.com for personalized photo gift ideas. Whatever plans you have this holiday season, we hope you find the perfect gifts for the special people in your life. *Community Financial does not endorse the information, content, presentation or accuracy, nor make any warranty, expressed or implied, regarding the websites and/or apps mentioned above. When it comes to planning a vacation, figuring out your airfare and hotel costs usually comes first. In fact, travelers often base their travel schedules around the best deals available. But, if you're a pet owner, there's a travel cost you don't want to overlook: pet care. Our furry friends need accommodations, too. Perhaps you're lucky enough to have friends or family pet-sit for free, but often pet owners must look (and pay) for professional help when they go out of town. Depending on how comfortable you are with strangers in your home, you can either have a dog walker stop by to walk your pet a few times a day, or you can pay someone to stay and keep your pet entertained overnight. Some pet sitters prefer that you drop your pet off at their home instead, and of course pet hotels and boarding facilities are a popular option for travelers with pets. According to care.com, the average cost of boarding a pet can cost you $20-25 per day. Pet hotels cost more but offer more luxuries and can range from $35-90 a day for each pet. The average cost of a dog walker is $10-25 for each dog, and Pet Sitters International's 2014 State of the Industry Survey indicates that the average for a 31-minute dog-walking visit is $18.23. Overnight visits average $62.18 per night. Last year I planned an 11-day vacation and needed reliable pet care. I used Thumbtack to look for dog sitters in my area, and since it was a longer trip, I wanted my two dogs to stay at home instead of at a boarding facility. On Thumbtack, you submit your request (days needed, amount to be paid) and professionals respond with their bids. You can read your potential sitters bios and reviews (if any), and choose the best one for you. Care.com and Yelp are also great resources to utilize that feature reviews for pet-sitters, too. I finally decided on a Thumbtack sitter who bid $20 a day for two dogs to be walked for 30 minutes (you can also get your plants watered and mail checked). By contrast, dog boarding for two dogs would have cost $40 a day in a shared indoor/outdoor facility, not including added play time and other optional services. If you want your pet to travel with you and you're flying, you'll have to research airlines that accommodate pets to find out their policies. For example, United, American and Delta allow an in-cabin pet as an extra carry-on subject to a $125 service charge each way in the U.S., except Hawaii, and the kennel must fit into the seat in front of you. Spirit also allows in-cabin pets for $110, and you can fly with your pet for $100 each way on JetBlue and Alaska Airlines. According to their websites, American Airlines, Spirit and Southwest do not accept checked pets. Southwest charges $95 per pet one way on domestic flights only. Another cost to consider is acquiring an airline-approved pet carrier for the flight (most airlines only accept smaller pets in the cabin. Also, these fees do not apply to service animals). Road trips are easier to plan, but you'll still need to find pet-friendly lodging. Websites like bringfido.com and officialpethotels.com are both great resources that make it easy to find a place to stay with your furry companion. With a bit of planning, pet owners can enjoy a vacation without worrying about their pet's well-being. Photo by Can Do Canines via cc. Friendsgiving: This term has become increasing popular to describe an event held around Thanksgiving but not always on the day of. 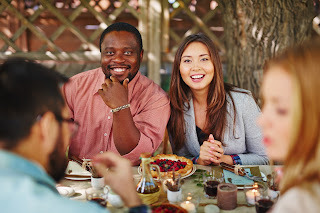 Especially among young working adults who cannot afford to travel home to see family for both Thanksgiving and Christmas holidays, it works well when one friend opens their home to host the event and everyone else brings a dish. These young adults are choosing Thanksgiving, the “smaller” holiday, to spend with their local friends by entertaining one another through a pot luck type party. Read what Friendsgiving attendees say about their newly establish twist on the break: Washington Post: Friendsgiving, a New Tradition to be Thankful For. Untraditional Foods: For a modern take on this holiday and for those tired of turkey (or tired of turkey making them tired), there are other options. Some other ideas (besides the ever present alternative that is pizza) with a similar “comfort food” feeling to the same old same old, are creamy cheese grits, roasted sweet potato and okra salad, or sweet potato gratin with chile-spiced pecans. Click here for more non-traditional side dishes. Vegan Thanksgiving: You can still have the Thanksgiving traditions if you’re going vegetarian or vegan! Try pumpkin pot pie with White kidney beans, Butternut Squash Baked Risotto or Thai-Spiced Pumpkin Soup. See 30 other ideas here. Does dinner take place Thursday evening or a different time throughout the weekend? What is your “home” culture on the last Thursday of November? Have any non-traditional Thanksgiving customs of your own? Share them in the comments section below. We’d love to hear them!